In the Pacific Northwest we enjoy an abundance of beautiful wild birds, many of which can become frequent visitors of our own backyards. The best way to attract these wild, feathered friends to your yard is with a quality bird feeder and specially formulated seed mix. It is also important to consider the time of year and type of bird you hope to attract. During the early, warmer days of fall, birds still have a wide variety of wild foods to choose from. However, as the temperatures drop many wild birds will be looking to supplement their diets with food from a feeder. Make yours available during the desperate winter months and you will have beautiful birds visiting your yard year round. Generally, the months that birds benefit most from feeder food are late October through February. To find the right feed formula, it is important to consider the type of birds you are trying to attract. For a chart of birds and their preferred seed types, visit the National Bird Feeding Society website: www.birdfeeding.org. Bird feeders come in a confusingly wide variety of styles and shapes, and some are better than others. The National Bird Feeding Society recommends looking for feeders that will keep seed dry during a storm, be sturdy enough to withstand a fall to the ground and have a large enough dispenser to hold the seed preferred by your favorite type of bird. The Country Stores carry a wide variety of bird feeders and feeding accessories. Our knowledgeable associates are happy to help you choose the perfect fit for your yard. The Audubon Society recommends cleaning bird feeders twice per year by soaking them for an hour in a mixture of four tablespoons bleach to one quart of water. This prevents bacteria from harming birds and rids the feeder of mold. This is a good time to check the feeder to see if it needs to be repaired or replaced. 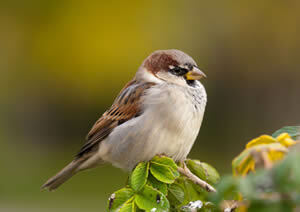 Look for sharp edges or broken pieces that could harm a bird. It is very important to replace seed frequently, so it does not rot inside the feeder. Seed is perishable and sometimes goes rancid sitting on store shelves. The Country Stores regularly restock our seed and provide a wide variety of fresh seed options. The Country Stores are offering Feathered Friend Favorite Wild Bird Food on sale starting on September 10th. Stock up now, so you can enjoy the beauty of wild bird visitors in your yard all winter long.